Sarah Koenig is the host and co-creator of the award-winning podcast Serial. Launched in 2014, Serial is credited with bringing mainstream attention to the podcast format and has been downloaded more than 420 million times. Serial won the 2014 Peabody Award, the first podcast to receive the award. Sarah began her career as a newspaper reporter, and worked for The New York Times, the Concord Monitor, and The Baltimore Sun, covering crime and politics. In 2004 Sarah became a producer at the public radio show “This American Life.” In 2015, TIME Magazine named her one of the “100 Most Influential People.” The third season of Serial, covering the criminal justice system in Cleveland, premiered in late 2018. Sarah will be introduced by Julie Snyder, editor and co-creator of Serial. As senior producer of “This American Life,” where she has worked almost since its inception in 1997, Julie has headed some of the program’s most ambitious and topical programs, notably episodes covering the wars in Iraq and Afghanistan, health care reform, and urban violence in Chicago. Brittany N. Packnett is an educator, activist, writer, and national leader in social justice. She has been cited by former President Barack Obama as a leader whose "voice is going to be making a difference for years to come,” and named one of TIME Magazine’s “12 New Faces of Black Leadership.” A contributor to the Crooked Media network, Brittany is a regular participant in the weekly news roundup “Pod Save The People,” which earned two 2018 Webby Awards for Best News Podcast. Brittany, a Fall 2018 Resident Fellow at Harvard's Institute of Politics, is a co-founder of Campaign Zero, a program to end police violence; and Vice President of National Community Alliances for Teach for America. She served as a member of the Ferguson Commission and the Task Force on 21st Century Policing. Brittany is the author of the forthcoming book “We Are Like Those Who Dream,” with One World. 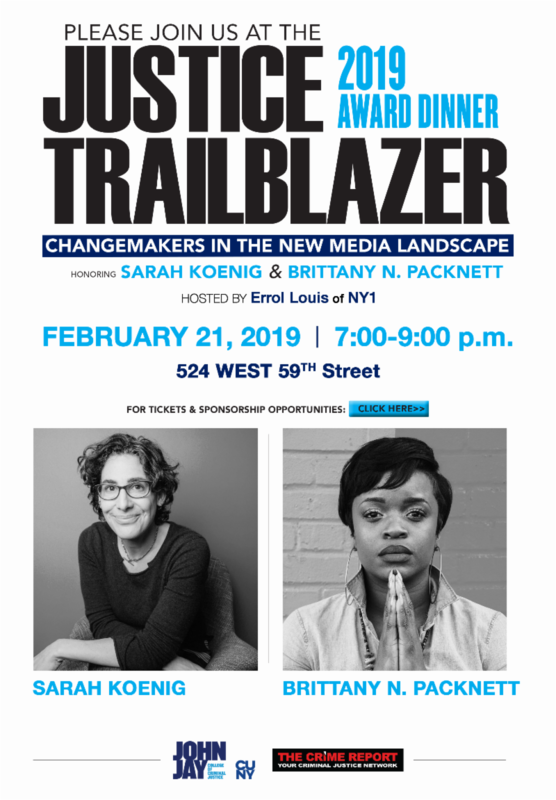 Brittany will be introduced by Blair Imani, author of “Modern HERstory: Stories of Women and Nonbinary People Rewriting History.” Following her July 2016 arrest during a Black Lives Matter Protest in Baton Rouge in response to the killing of Alton Sterling, Blair began using her voice on the national stage as a commentator, speaker and a social media presence.